If you’ve ever been enjoying one of our videos and thought: Man, that mattress looks cozy but I love that furniture — you’re in luck! 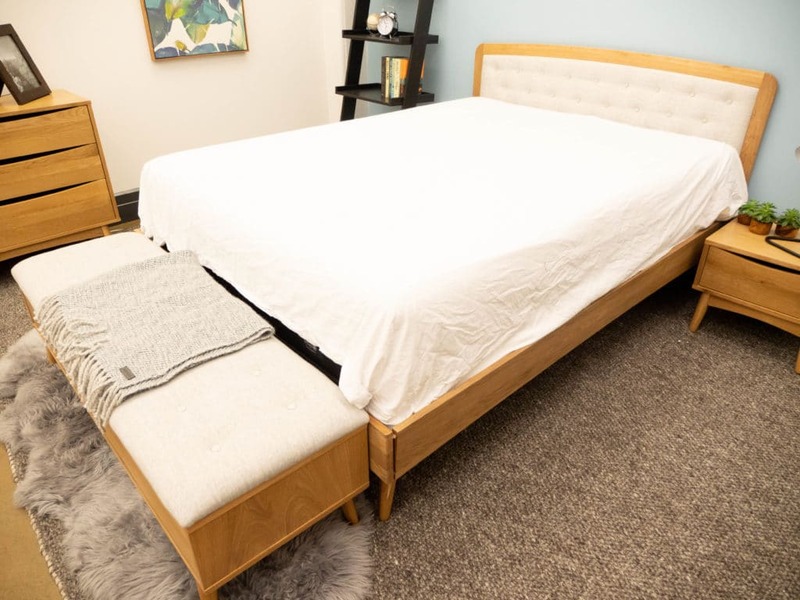 In this review, I’m going to take a closer look at each of the pieces you’ve seen in our reviews so that folks looking to liven up their sleep space can get some decoration inspiration! From the bed frames to the rugs, pretty much every piece of furniture came from the Culla and Taiga Collections by Article. 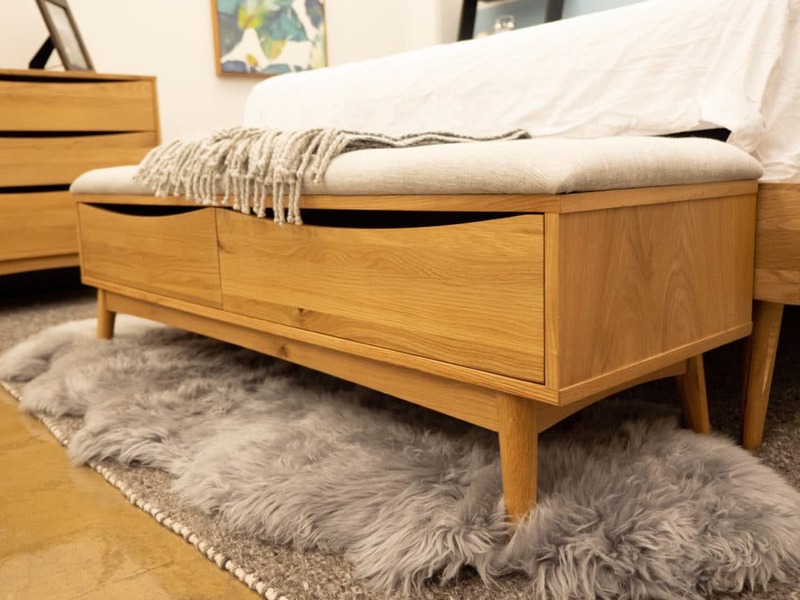 Article is a furniture company that designs mid-century modern and contemporary pieces with an appreciation for simplicity and attention to detail. Founded by four software engineers, Article aims to combine the beauty that surrounds us with efficiency that relaxes us. The nightstands I have in my bedroom are from the Taiga Collection — they are both made of solid American White Oak on blackened iron legs. It’s rich, dark color is from a wood stain called Rustic Smoke and it’s got sort of a vintage, minimalist feel to it which I love. They are about 18 inches high and 19 inches wide, weighing about 45 lbs. So, they’ve got a heavy, sturdy quality. 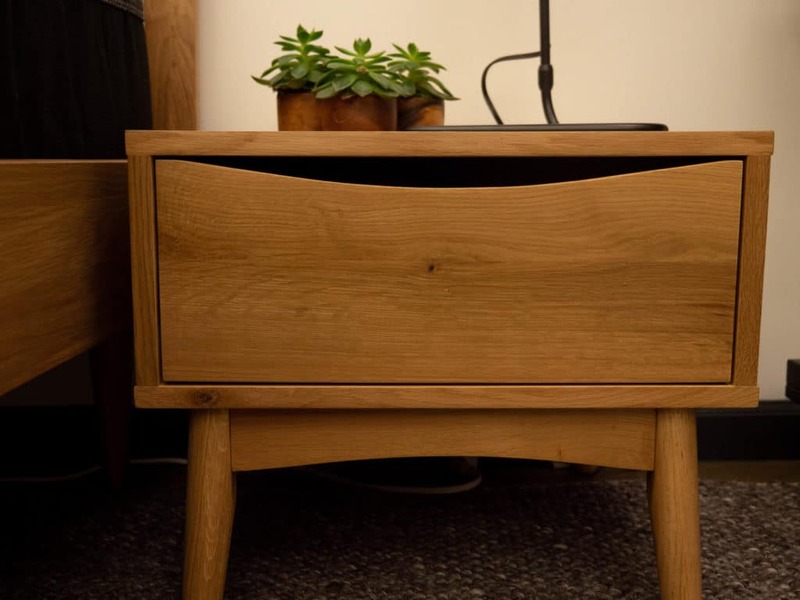 You can find these nightstands for about $299 a piece. Some assembly is required, but according to the people at Article, it should only take about 15 minutes, and of course every piece comes with set up instructions. When we set up these nightstands, it’s took only about 5 minutes, so I think the folks at Particle overestimate the build time a little bit. The darker bed frame you’ve seen is also from the Taiga Collection, and it’s called the Smoke Queen Bed. Made from American White Oak veneered wood on blackened iron legs, this frame is so solid and sturdy that it doesn’t actually need to be placed against a wall. This also has a simple, modern aesthetic and I love that it leaves enough room underneath to put baskets or other storage. According to Article, this takes about 45 minutes to set up, and you can find this on Article.com for $999. The rug beneath the Smoke Queen bed is called the Crush Dove Gray Rug and it’s 8 x 10. It’s got a plush feel and is made from 100% viscose. It was hand woven, so each rug may vary slightly in size and color. No setup required, of course, but they do recommend you use a rug pad to go underneath. You can find this piece for about $599. 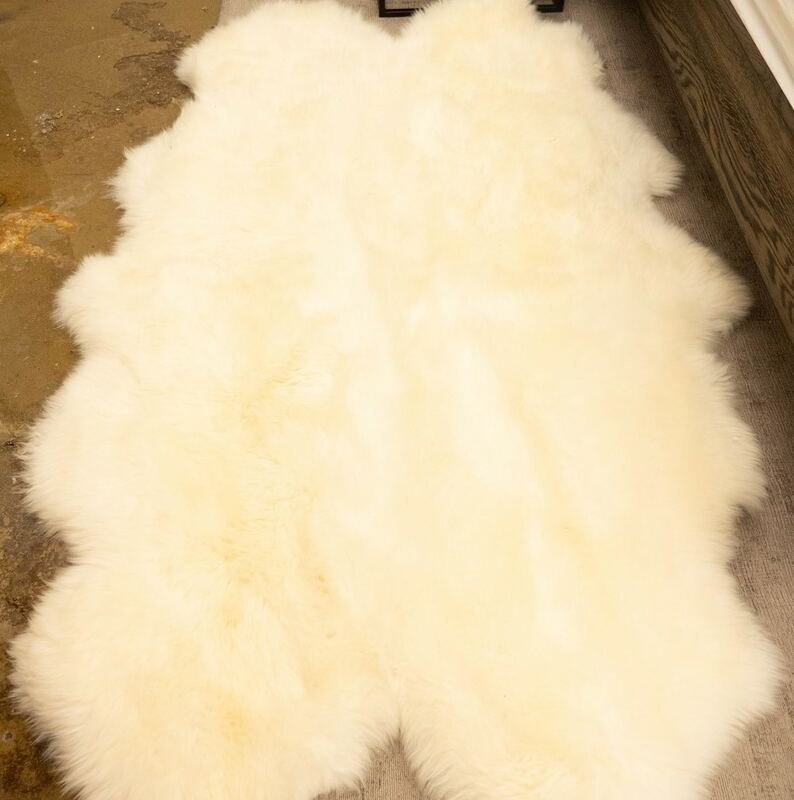 Then there’s the Lanna Ivory Sheepskin Throw rug which is my personal favorite. 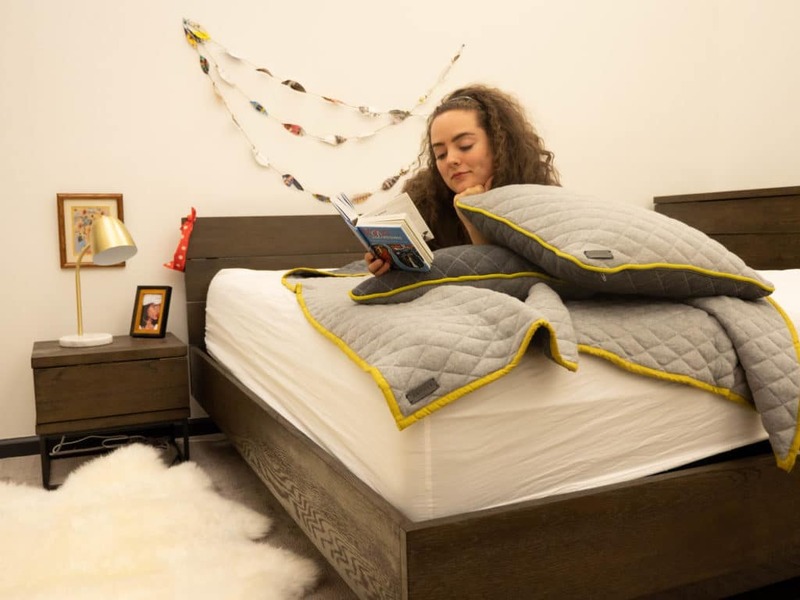 It’s made from 100% New Zealand and Australian sheepskins and it’s got a super soft, fluffy feel. There are no set up instructions, you just throw it wherever you think looks best! We liked them so much that we got three — two in ivory and one in grey. And because they are all unique, they each have a their own shape. You can find these throw rugs for about $369 a piece. For a bedside light in the Taiga bedroom, I have the Cado table lamp. I have it in Gold but they offer Copper and Nickel metal finishes as well. It’s very stable and heavy, made from steel, marble, and plastic. About five minutes of assembly is required in putting this lamp together, and it costs about $79. So, that about does it for the Taiga Collection in this room, but there are more styles to be seen on Article.com, so check it out! But for now, let’s take a closer look at the Culla Collection. Starting with the single drawer nightstand, this mid-century style piece is from the Culla Collection. It’s solid, strong, and made from veneered American white oak. Article does offer this piece in Walnut and White as well. Again, quite sturdy and heavy weighing about 38 lbs and almost 17 inches high. You can find this piece for about $399. My favorite piece in the Culla Collection is the Oak Bench. It has a button tufted seat on a veneered American white oak frame. I have the Mist Grey with Oak style here, but Article offers other upholstery combinations as well. It’s got two soft close drawers that offer plenty of storage, and it’s very sturdy weighing around 80 lbs. 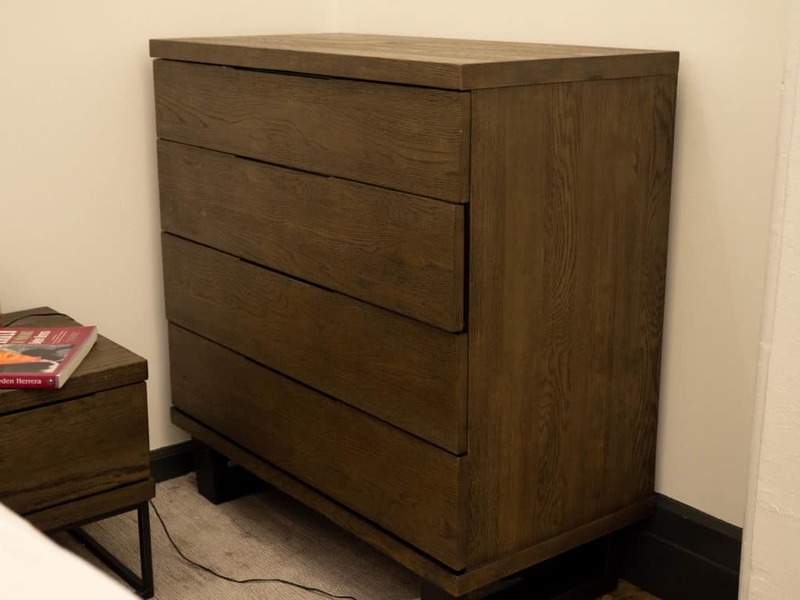 Approximately 15 minutes of assembly is required, and you can find this for about $749 on Article.com. The Culla bed frame is also made of veneered American white oak and matches the mist gray upholstery of the oak bench. It’s about 79 inches wide and sits upon short, tapered legs. It’s definitely got a very mid-century modern aesthetic to it, keeping with Article’s signature style. Approximately 45 minutes of assembly is required, and it costs about $1199 on Article.com. 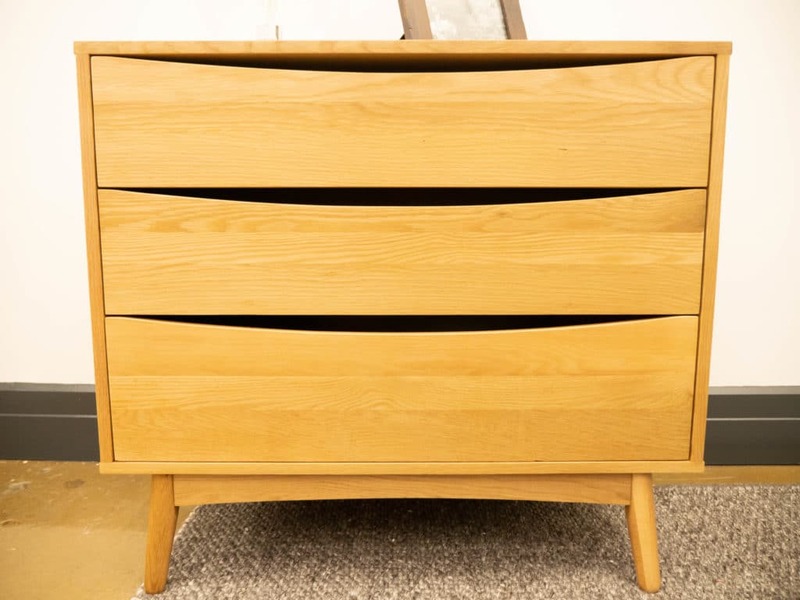 The Culla three drawer dresser is also made from veneered American White Oak, and it’s got a very distinct mid-century modern style. 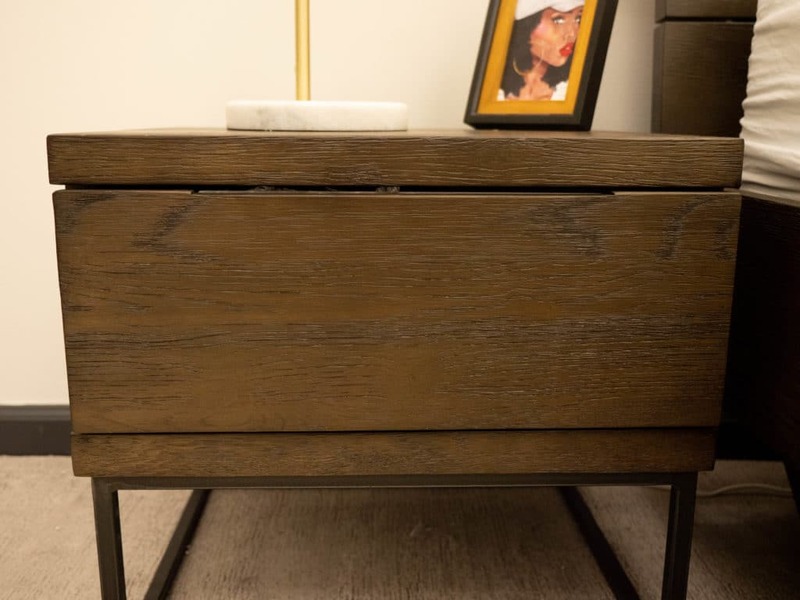 Like all of the dressers in the Culla and Taiga lines, these drawers are soft close which allows for quiet opening and closing. It’s solid wood with steel runners, so it’s very sturdy and rather heavy at 120 lbs. About 15 minutes of assembly is required, and you can find this piece for about $999. 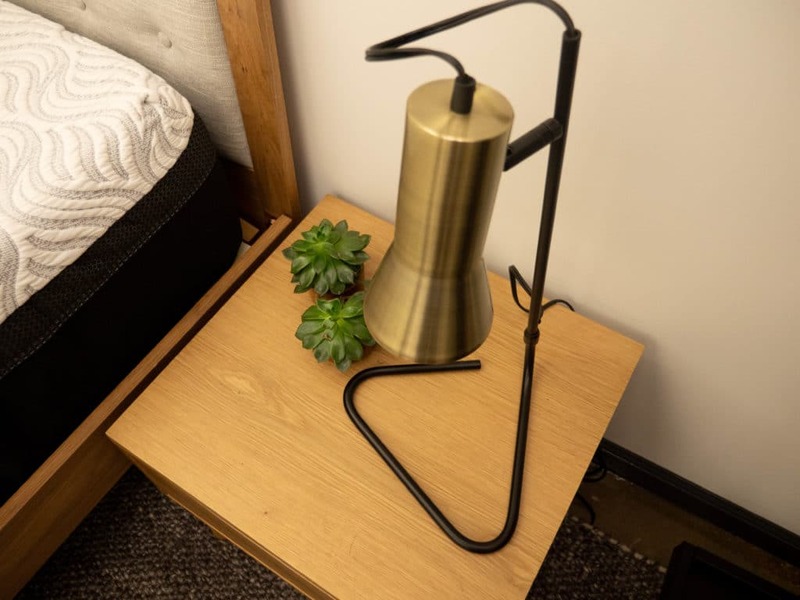 For lighting in the Culla room, I have a bedside lamp called the Torch Black Table Lamp. It’s got a curved, compact stand in a black matte color which offers an attractive contrast to the brass-colored shade. It’s got a simple assembly that should only take about 5 minutes, and you can find this lamp for about $49. The other lighting I have in this room has more of a unique style to it. It’s called the Orb and it’s pretty obvious where it got its name! It sits on a concrete base which, again, provides a nice contrast to the delicate shape of the spherical glass casing. 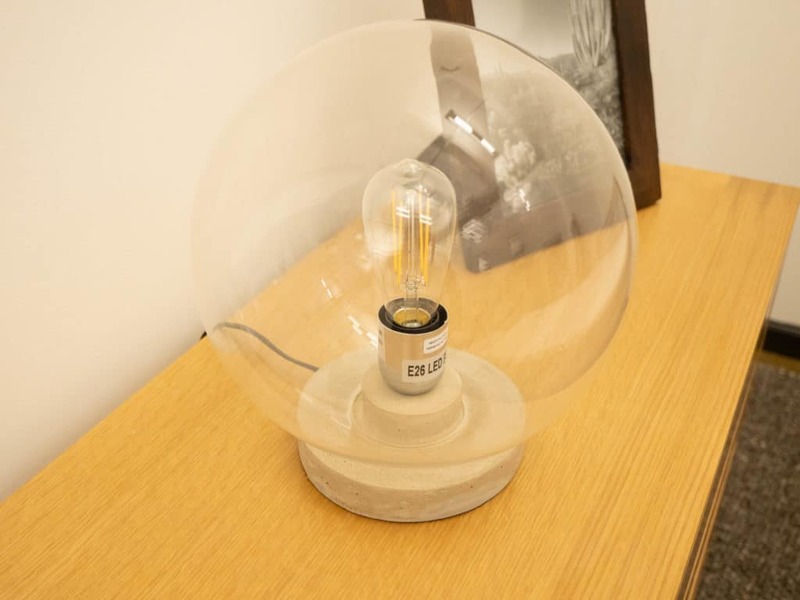 It has a contemporary style and an oversized Edison bulb is included with the lamp. 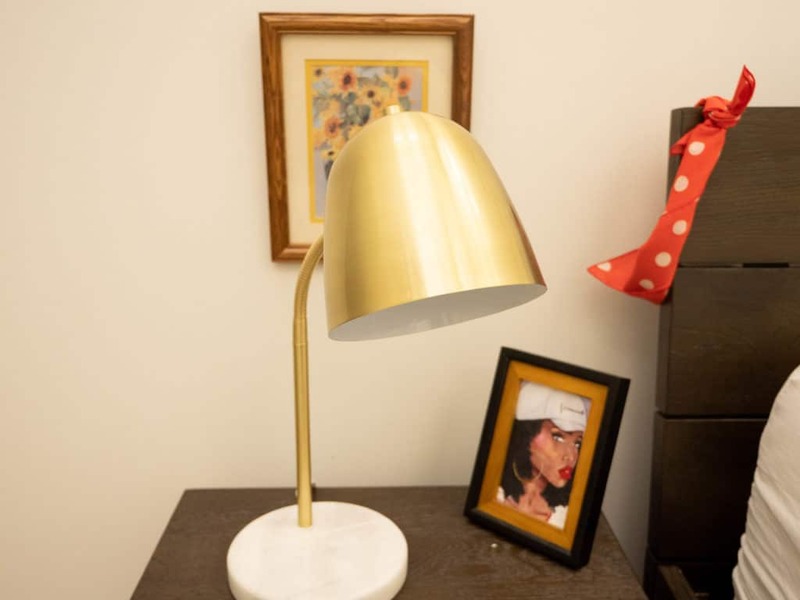 No assembly is required and you can find this lamp for about $69. The larger rug in the Culla room is called the Texa Rug, and again, it’s hand woven. It’s made from a blend of wool and rayon so it’s very soft and cushy beneath your feet. It keeps with the contemporary Article style, and because they are handwoven, each rug is going to slightly vary in size and color. You can find this piece for about $499. All of these pieces and more can be found at Article.com, and can be shipped anywhere within the US and Canada. The people at Article (or as they call themselves, The Particles) know that our bedrooms are the places we can feel the most relaxed and at home. Their furniture’s cozy-chic style is meant to add comfort and durable design to the place you rest your head as well as add a little more fun to the furniture-hunting experience.